BATON ROUGE - A woman is accused of driving intoxicated after a crash involving a Baton Rouge police vehicle Wednesday night. According to BRPD, the crash happened around 9:15 p.m. as the officer was driving east on Government Street. 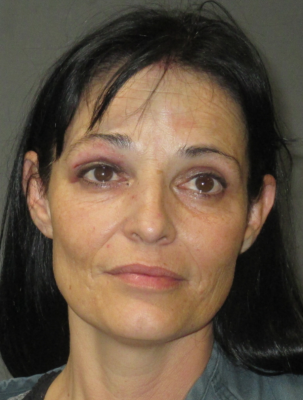 Police say 39-year-old Tia Jones of Denham Springs was making a left turn into a parking lot when she drove into the path of the police unit. Both Jones and the officer were taken to a hospital with non-life-threatening injuries. Police confronted Jones at the hospital. When asked if she has a lawyer, she said she did have one but couldn't remember who it was. Police also smelled alcohol on her breath. When officers told her they wanted to test her for intoxication, she reportedly began screaming at police, telling them she would not take a test. Police were able to get a warrant and were able to test the woman's blood. Jones was later booked in the East Baton Rouge Parish Prison on charges including driving while intoxicated, careless operation and vehicular negligent injuring.